Every performance is performed in both British Sign Language and spoken English. I had a night in which everything was revealed to me. How can I speak again? The early hours of the morning. You’re alone, with only your thoughts. How did you get here? And how do you get out? Sarah Kane’s searing, final play in a ground-breaking new production from Deafinitely Theatre. Hosted by Director Paula Garfield, an opportunity for audiences to ask is this play still relevant two decades on, and what advances have there been in deaf mental health. Paula will be joined by academics and professionals in the deaf mental health field. Director Paula Garfield in conversation with the cast (Adam Bassett, Brian Duffy, Jim Fish and Matt Kyle) – A fascinating insight into the rehearsal process behind this bilingual version of Sarah Kane’s 4.48 Psychosis. ★★★★ "The sheer courage and passion that has been thrown behind this intelligent production of a daringly experimental play wins out, and what lingers is its cry for love." ★★★★ "A heartfelt look at what it feels like to live with a profound disability, and just how isolating that can be." ★★★★★ "The defining feature of this production is its ability to utterly captivate and move its audience, making it essential viewing." Deafinitely Theatre is the UK’s first deaf-launched and led theatre company, staging productions of classic and contemporary plays for deaf and hearing audiences that combine the visual storytelling of British Sign Language with the immediacy of spoken English. The company’s previous shows have been seen at the Gate, Soho and Globe theatres. 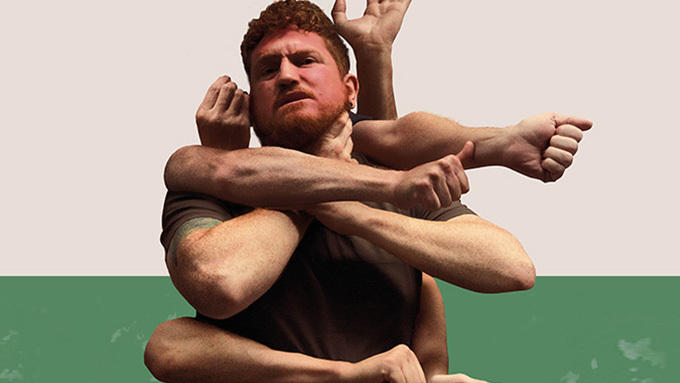 Its most recent production, Contractions by Mike Bartlett, a co-production with New Diorama Theatre, won the 2018 Off West End Award for Best Production.